Jaden Smith just copped a new fashion campaign for Louis Vuitton. Check out the first pic and peep flicks of Rihanna heading out for dinner in NYC inside…. 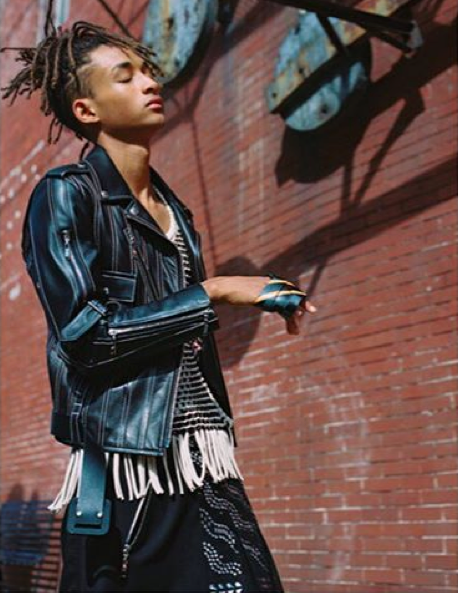 17-year-old Jaden Smith just landed a major fashion campaign. The young actor/artist is the newest face of Louis Vuitton’s SS16 ad campaign. Looks like he took a few pointers from his sister Willow Smith who landed a campaign with Marc Jacobs last summer. Louis Vuitton’s creative director Nicolas Ghesquière hopped on Instagram to make the announcement that “The Get Down” star would lead the French fashion house’s new campaign, shot by Bruce Weber. As of now, these are the only shots that have surfaced from his spread. Once the full shoot surfaces we’ll be sure to share. Fresh from celebrating Christmas in Barbados with her family & New Year's in NYC, Rihanna is back on the scene in the Big Apple. The Pop princess slipped on a pair of stylish cateye specs looking all sophisticated as she made her way to celeb hotspot Nobu restaurant in Tribeca to dine with friends.